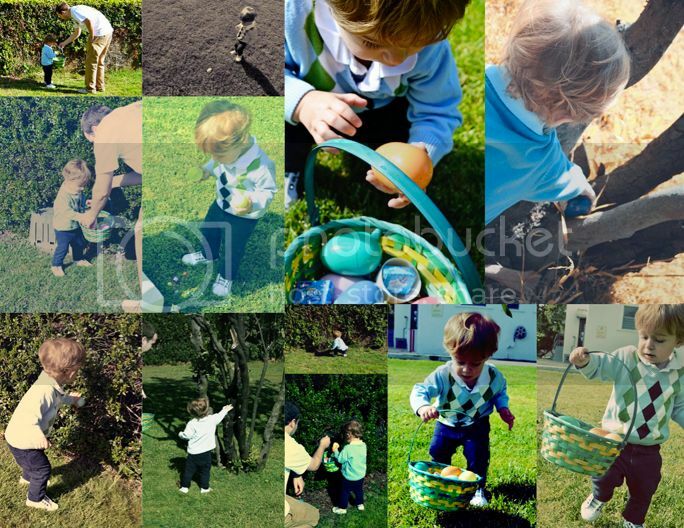 Last year Fox was only 6 months old and definitely didn't understand the concept of finding Easter eggs. This year, he's just shy of 18 months (next week he starts Nursery - woooohoooo! Yes I've been counting down!) and with our help and promptings he found his eggs. He mostly just wanted to open them one at a time and eat the candy inside. After hunting for eggs we went to church. Then we came home and napped and got dinner ready. A big pat on my back from me to me for cooking green bean casserole for the first time! Super cute pictures! He's changed so much!! 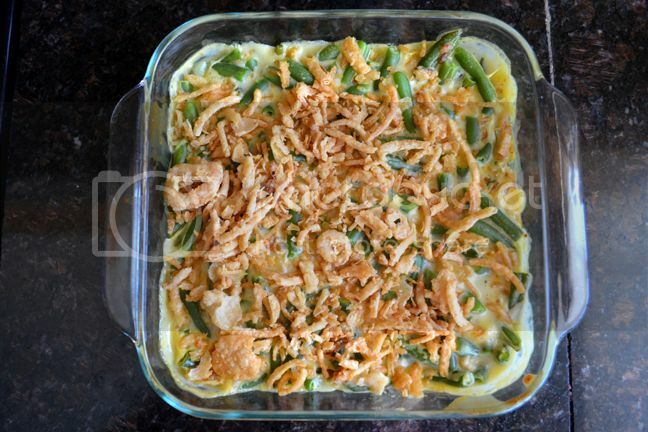 Love green bean casserole!! Yours looks great! 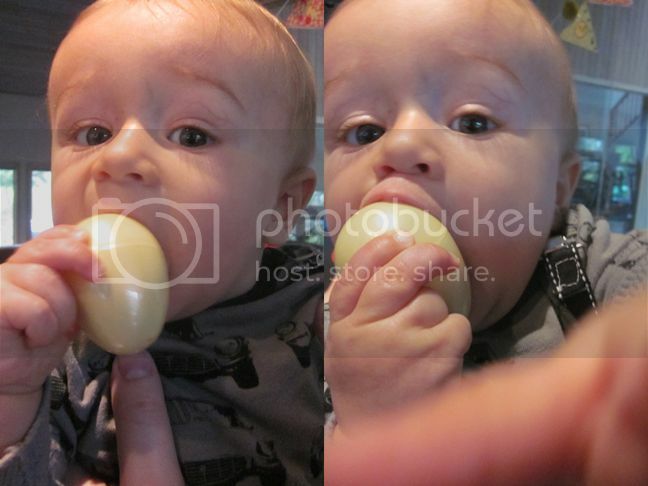 He was such a good little egg hunter! sounds like you had a fab Easter, and fox's coloring is just awesome! SOOOOOO cute! I love how Fox is growing up and learning so much! Your casserole looks YUMMY! It took me almost 4 years to learn how to make it--it was a MESS! I used the wrong soup, didn't cook the beans, had too many beans, oy! But now....I'm the master! I don't even have to look at the recipe:) LOL! hey, that's the same dish i made for thanksgiving!!! isn't it so yummy and easy to make?! oh gosh, i can't believe how much fox has changed! !